How do we write teacher guiding questions? What do thinking classrooms looking like? What is the difference between an activity, and a performance of deep understanding? These are some of Lynn’s most powerful questions we should ask ourselves. Good educators have always been concerned with what goes in a student’s mind. These educators are dynamic, forward thinkers, thoughtful, persistent and leadership orientated. They promote leadership by building capacities in others with the mindset of continuous student improvement. In the present days they spend more time with the kids than most other adult. Spending two days in Lynn’s Erickson workshop it was a true inspiration at it happened in the beginning of the year when planning activity is high. I have spent the weeks after the workshop reading her book “Concept-Based Curriculum” and applying new ideas in my units or during the lessons. It is a continuous challenging activity that encourages higher levels of thinking and stimulates creativity. As knowledge continues to expand exponentially we must focus on the shifting to a higher level of concepts. The goal is to focus and process the information so it can be thoughtfully and efficiently accessed and utilized by our students. We should teach for conceptual understanding and we should no longer assume that students are building on it. Our students must connect the conceptual understanding to supporting content. The conceptual mind creates connection to prior experience and finds relevance. It works synergistically with the factual level of knowledge, and the strategy/skill level of process to develop the intellect. The conceptual mind sees patterns across examples which reveals deeper, transferable understandings. Through conceptual lenses we engage the conceptual mind. Synergistic thinking requires the interaction of factual knowledge and concepts. Requires a deeper level of mental processing and leads to increased understanding of facts related to concepts, supports personal meaning making, and increases motivation for learning. It is motivating to use our minds well! Synergistic thinking stimulates higher-order thinking and leads to deeper understanding of facts, skills and concepts. To develop the intellect and increase motivation for learning, curriculum and instruction must create a “synergy” between the lower (factual) and higher (conceptual) levels of thinking. In a concept-based curriculum that is relevant and applicable to the world beyond the school our students exercise critical thinking. When assessments are informative students build on strength, weaknesses, set goals and become owners of learning. When social and emotional connections are made students develop divergent thinking, expressing thus authentically. When they have 24 hours access to tools and resources, they express and communicate their learning. Where there is a culture of creativity and innovation, the students own the learning and they create solutions. As every other discipline the Physical Education has a conceptual structure. Most concept based of all my students are the pre schoolers. They are always excited about working with important ideas. 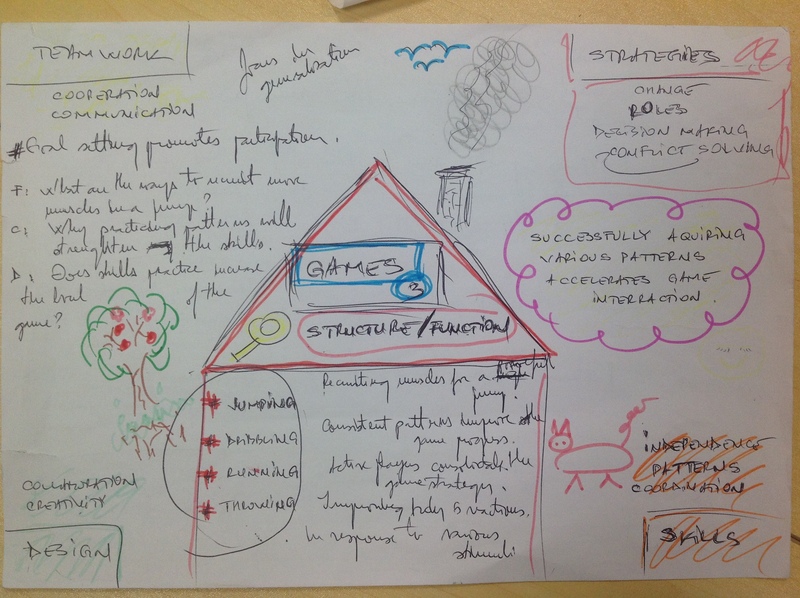 I draw the inquiry from their understandings with the aim of developing a concept based thinking student. The main goal is to get them to transfer the concepts we use. 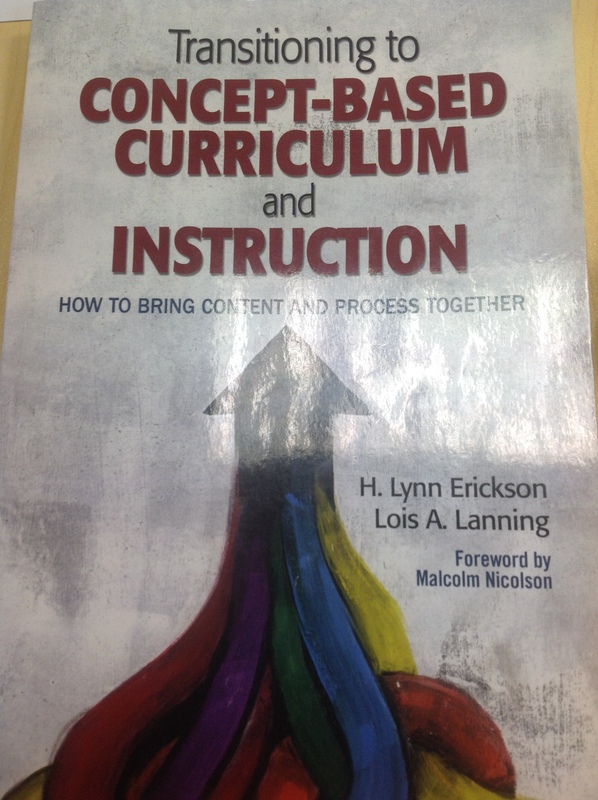 I used to teach activities and I did mistakes as we all probably do but now I am becoming more aware of the fact that we need a higher level of pedagogy learning and “Concept-Based Curriculum” book is a great point to start. Physical Education concepts to work with: movement, agility, behavior, weight transfer, autonomy, character, initiative, perseverance, resilience, self-regulation, trust, aesthetics, bio mechanics, body control, body form, challenge, competition, energy, flexibility, flow, growth, goal setting, improvement, leisure, mastery, overload, physiology, power, rest, spatial awareness, strength, stress, control, fair play, safety, team work, angle, space, action, reaction, endurance, speed, patterns, cooperation, motion, force, power, development. 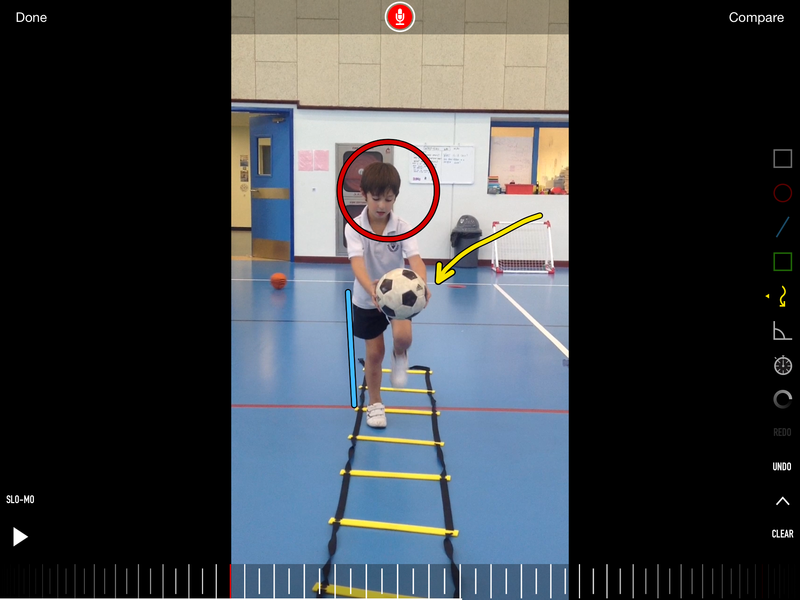 Using Coach’s Eye app in the formative and summative assessment with students aged 4 and 5. I do this by recording them performing a skill and using the analysing tools and graphics of this app. The outcomes can be shared instantly and then exported to their portfolios or to their parents. I often record live my lesson with the help of Bam Video Delay app. Students love the opportunity being offered to them to reflect on their own skills immediately. I set a delay of two minutes and that is the exact amount of time we’ll inquire efficiently on a specific topic before we give it another go. 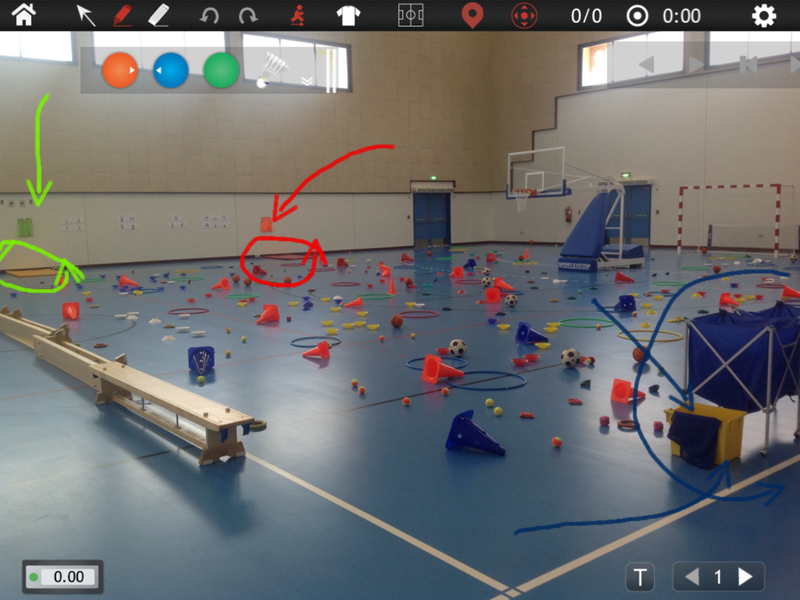 CoachNote is another great app that helps us to introduce various activities by challenging our students. Whenever we introduce a new activity I take a picture with the entire set up of the game prepared in the gym. Then I will load the picture in the CoachNote app and mirror it with my iPad on the screen outside the gym. I can start explaining the activity while I edit live and we inquire about the expected objectives and outcomes. We then move to the gym and I can observe the way their understanding builds up. Easy Tag is another app I have been using recently even with four years old students. It offers to possibility to engage students as observers in the lesson and gives them the chance to experience new roles and responsibilities. I often assign injured students to observe various skills performed by a team, small group or individuals and this can be done by simply tapping on the screen when the skill is being performed. Other exciting apps that I have tried in the workshop and my students love by now are: PopFlux, Bit Breaker and Dance Party. The present technologies teach our children how to make sense of the world, how to think about knowledge and information, and how to relate to themselves and to one another. Making sure we agree, in principle, with the tool’s implicit messaging is the most important question we can ask at the moment. Being part of an active #pegeeks community on Twitter is one of the best ways to ensure that we facilitate meaningful learning experiences that our students can transfer into their every day life.